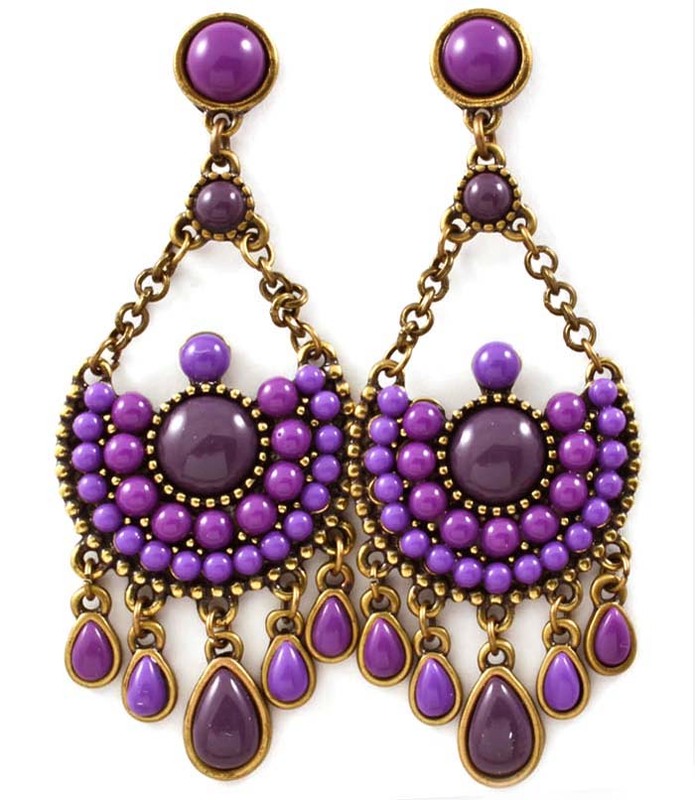 A succulent grape jewel-tone drop earring to top off your gypsy look. The Rachana features antique gold chain, smooth cabochon beads set onto a half-moon disc, and dripping teardrop purple pendants. Buy this high quality and cheap costume jewellery piece from our online shop today.